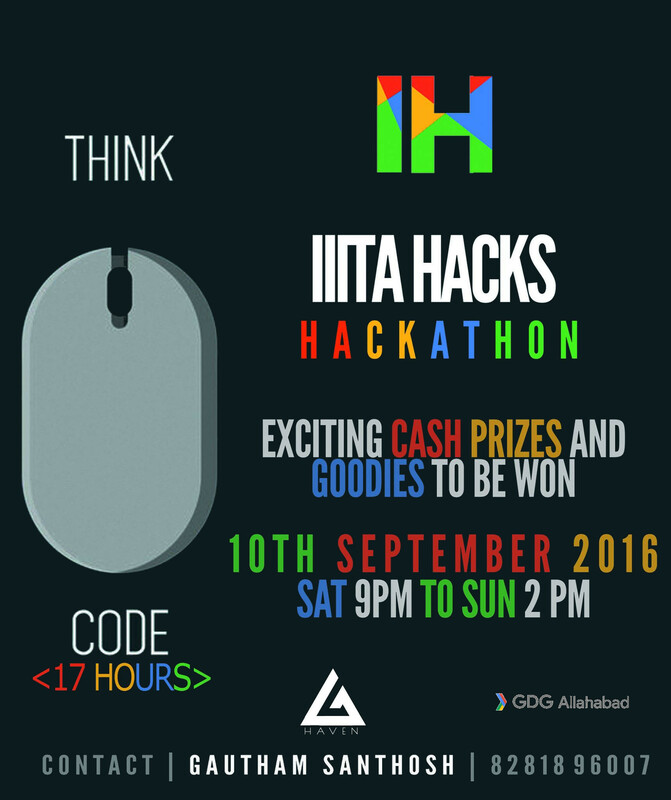 IIITA Hacks was a Student held hackathon organized by me from 10th September 2016. 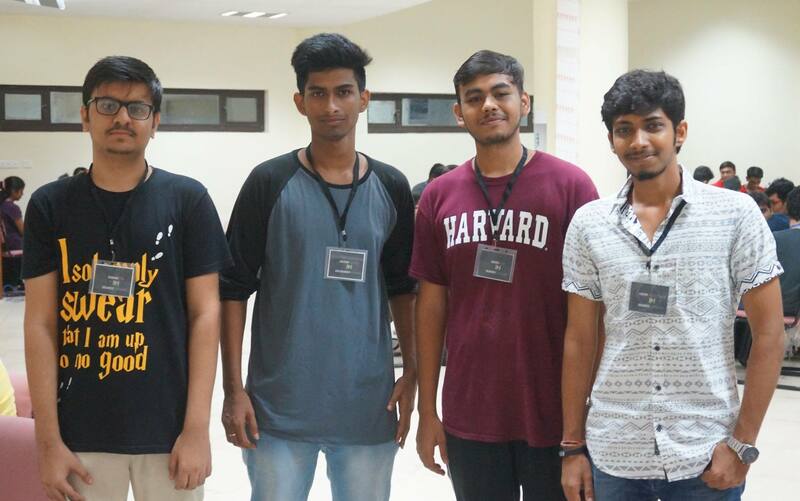 IIITA Hacks was organized as part of Technical Society from 10th to 11th September 2016. It was a 17 hour hackathon with a participation of 150 students from the Institute. 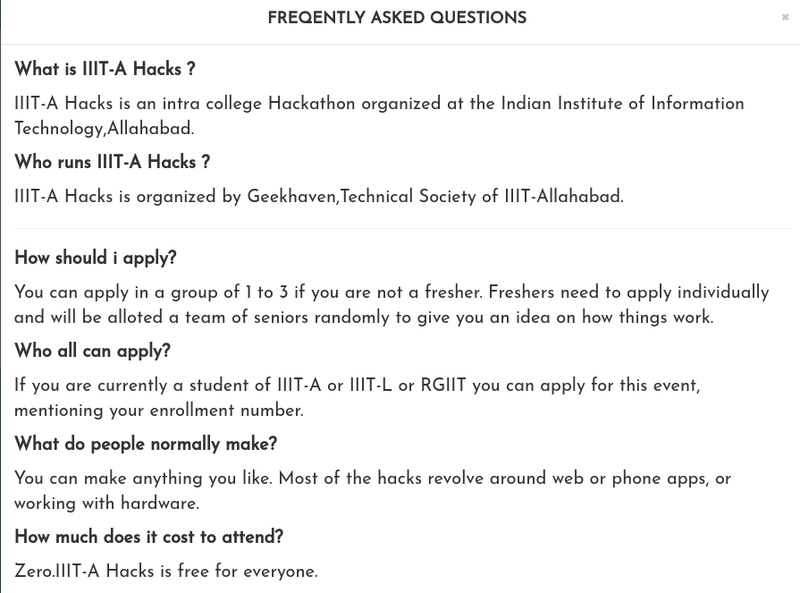 IIITA Hacks was an exclusive for the students of Indian Institute of Information Technology,Allahabad ,serving for the purpose for increasing the hackathon culture in the Institute. It also served as our odd semester hackthon complementing out even semester major hackthon Hack In the North, which i am also a part of. Hack In the North is presently india's biggest student held hackthon. The event was organized on two labs of Computer Center 3 of IIIT-A. Participants had to code for 17 hours followed by a presentation at Admin Audi of the Institute. The event Rules and Regulations followed by team registration was done in front of CC3 at 9:00 pm on 10 th of September. Teams had to register online on a google form previously. The teams were alloted one to two first years as extra help for their task in hand. The Participants went to there alloted labs and started coding very soon. Our organizers helped teams in fixing their minor bugs as they can. Teams were given free goodies on the spot by the Organisers to encourage them on thier effort. Refreshments such as coffe,colddrinks and snacks were provided for the Participants during the event. After vigorous coding efforts the Participants then proceeded to Admin Audi. All the teams were judged by Dr. Rahul Kala and winners were decided soon after it was over. Top projects can be viewed here. I had a lot of fun organizing one of the Institute's largest hackthon's till date. It had around 300 applications ,150 Participants and more than 20 final projects. I hope it will be better the next version.